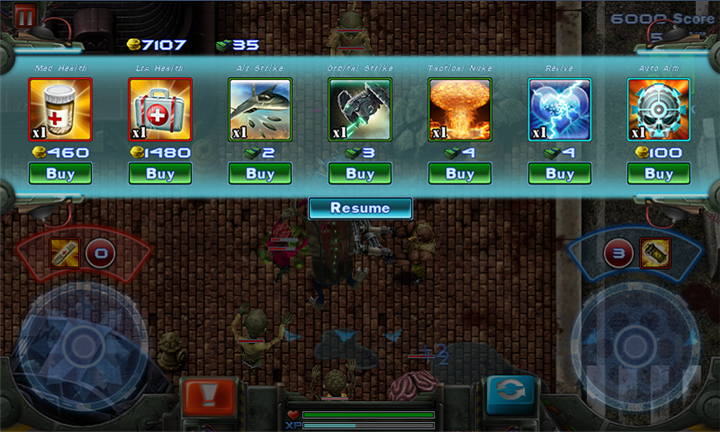 Gun Bros is finally available on the Windows Phone Marketplace, long awaited since May when we first posted about it. This game should be familiar to many of you, you have either heard of it before or played it on other platforms. It’s absolutely free to play on the Windows Phone too! This is a paid downloadable content game, if you’re wondering why it’s free. That doesn’t mean you can’t enjoy it however; Gun Bros is a full feature game, paying for content is just extra, giving you better gear and weapons, but not necessary at all to enjoy and play the full game. 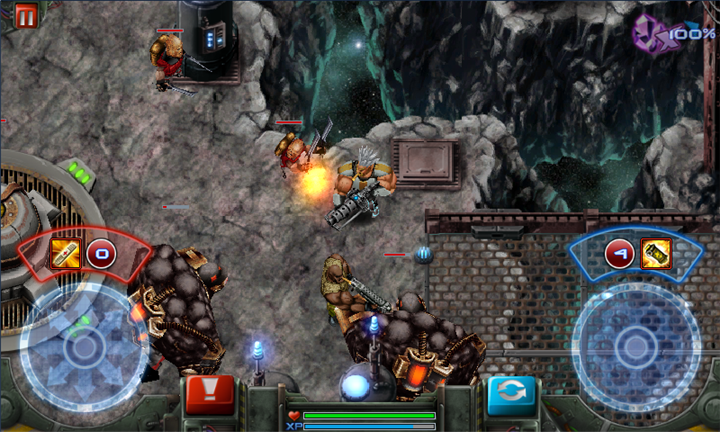 The game is simple to pick up and play, using a twin-thumbstick setup you guide your manic shooter around the level to survive and shoot all your enemies. 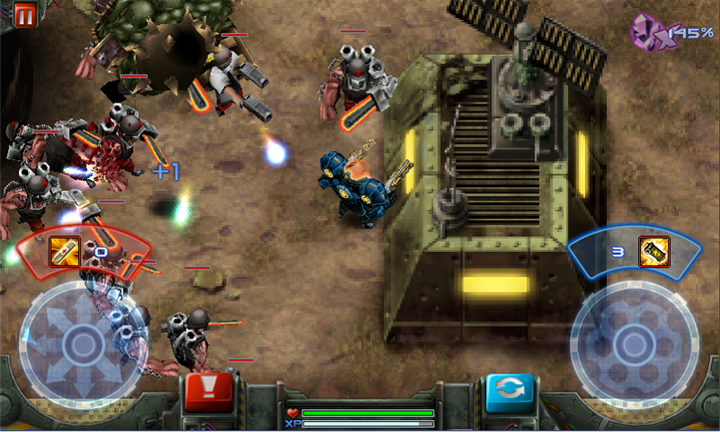 It wouldn’t be called “Gun Bros” for nothing, you will always have an AI companion fighting along your side throughout the entire game. Hence, your brother (that’s what the Bros part stands for by the way). The twist with Gun Bros (which makes it all the better) is that you can process “Xplodium” and turn it into gold. 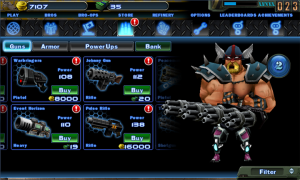 Gold is then used to purchase better weapons and gear. 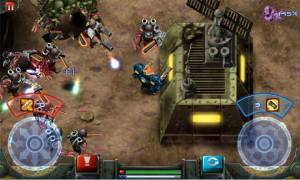 Gun Bros also has a unique multiplayer feature which allows you and your friends to hire each other’s “Bros” to fight along your side. Doing this will also reward the hired player’s character. Your friend does not need to be online at all to hire their character. 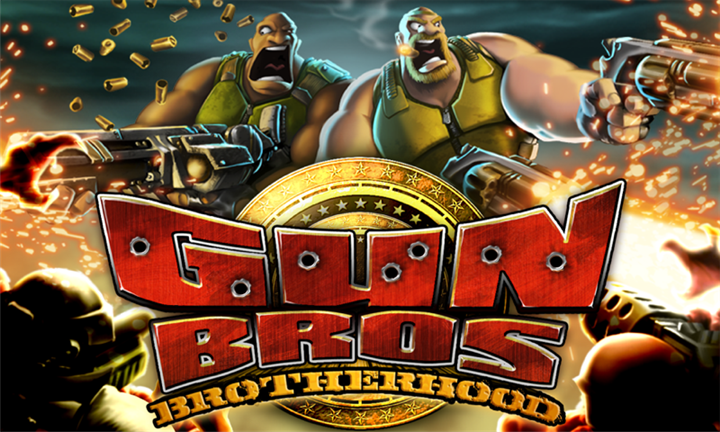 We wish the Gun Bros feature worked with more than just Xbox LIVE friends, it would be great if it somehow integrated from other platforms, and even the browser version of the game. We know that’s asking for a little too much though, maybe with Gun Bros 2. 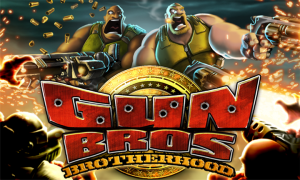 Gun Bros is published by Glu, with an initial version of 1.0.0.0, a hefty download size of 185 MB, and the following supported languages: Deutsch, English, Español, Français, Italiano, Português, and русский. Gun Bros is absolutely free on the Windows Phone Marketplace, no need to trial, and there is no reason not to download this superb game. We do have one small complaint, I tested the application out on my personal Samsung Focus and the two first loading screens you come across when you start the game up do take ages to go through. I noticed the same is happening on some other devices showing off the game on the Internet, maybe Glu can work on some load time optimization. That, or things will of course be better with Windows Phone 8 devices later this year. Don’t be a T.O.O.L… Enlist with the GUN BROS today! The Freakishly Rugged Advanced Genetics Galactic Enforcement Division (AKA F.R.A.G.G.E.D) specializes in the development and deployment of superhuman special agents. Headed since its formation by the brilliant soldier-turned-scientist Mother Gun, its current roster consists of only two active field operatives, code-named Percy and Francis Gun. Their lifelong mission: to protect the cosmos from the Tyrannical Oppressors of Life known as T.O.O.L. Like a super-powered fungus gone haywire, the evil T.O.O.L organization has grown from the dankest levels of the criminal underworld to spread its own brand of malevolent funk to every corner of the galaxy. Most recently, they’ve set their sights on harvesting the rare element Xplodium in an effort to create even more powerful weapons to enslave the universe… But not if the GUN BROS have anything to do about it! Form your own Brotherhood: Add your Xbox LIVE friends to form your brotherhood- your brothers will help protect you and destroy the T.O.O.L enemies. Every time a friend uses your Brother, you gain valuable experience to help your progress, even if you’re not currently in the game! 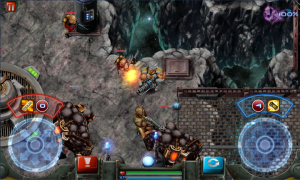 Non-stop 3D Action shooter: The waves of T.O.O.L enemies just keep on coming and you and your brother need to have some serious out-of-this-world shooting skills to take those repugnant space bullies down! NEW ZOMBIE PLANET – BOKOR! 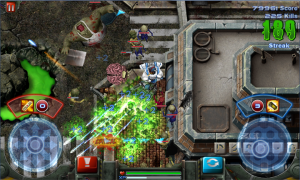 Infested with all new ZOMBIE T.O.O.L. enemies! Included with an all new SURVIVAL MODE! 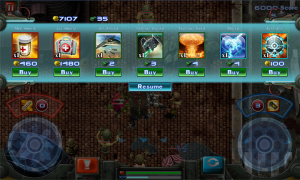 Complete a wave without taking any damage to receive an explodium bonus for that wave. No pain, you gain! 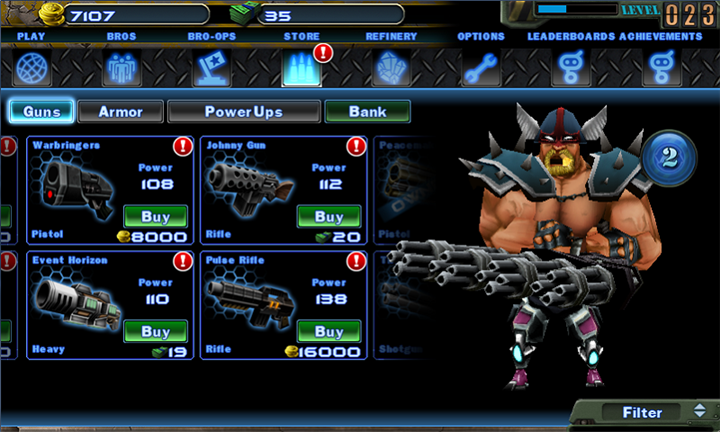 Tons of insanely powerful Guns, Armor and other explosive power-ups to get your hands on in the F.R.A.G.G.E.D Armory.